When I wrote this song, one of my sons was so impressed with it, he learned to play it on his cello, so I named the song after him. The mp3 arrangement is played using a French style accordian and a Spanish guitar. The sheet music midi file is played with a piano. I have created a ( MIDI file ) for the sheet music you will see below and it can give you an idea how the song is played. 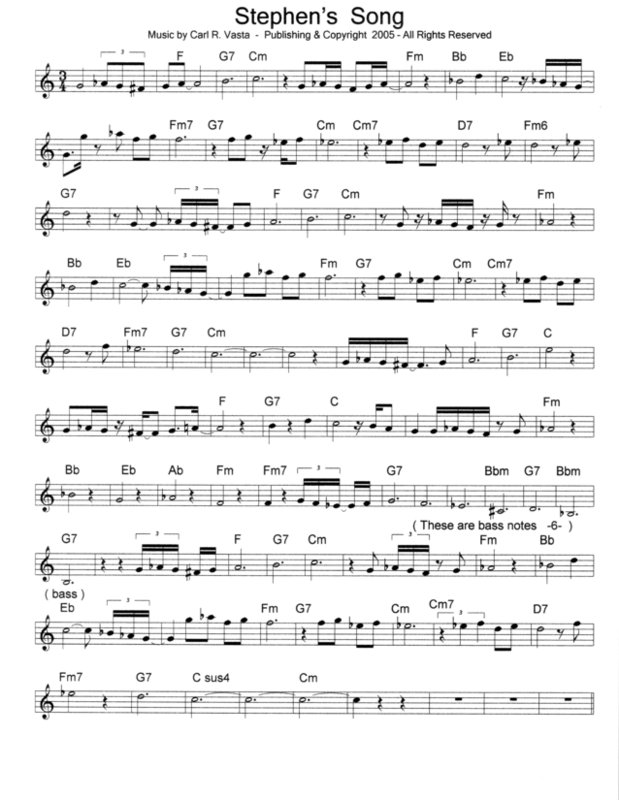 You can print the ( PDF sheet music ) with the link below and there is also an ( MP3 of the MIDI File ) in the player below, if your computer doesn't play MIDI. To hear Carl sing the finished song, take the link at the top, back to the Original Songs page. To download the MP3 or Ogg Files right click on the files and "save target as" or "audio"